Hospitality Culture Institute has launched its most ambitious project yet, with the aim to recognize and award excellence within the local HoReCa industry: Romanian Hospitality Awards. The awards gala rewards the passion, the quality services, the attention for details and the desire to explore new territories, with the ultimate outcome in mind, the one that everyone aspires to: the customer's complete satisfaction. Romanian Hospitality Awards are split into 13 distinct categories: Restaurant; Bar/Pub; Café; Hotel; Club; Bakery/Cake Shops; Food Delivery Brand; QSR; Festival; Chef; Entrepreneur; The best Opening on the Market in 2017; Supplier of the Year in HoReCa. Two additional special awards will also be handed over: the audiences’ award for the best Bar/Pub and a special prize offered by the organizers. Top 3 ranked players in each category will be awarded and 41 prizes will be handed over in total. 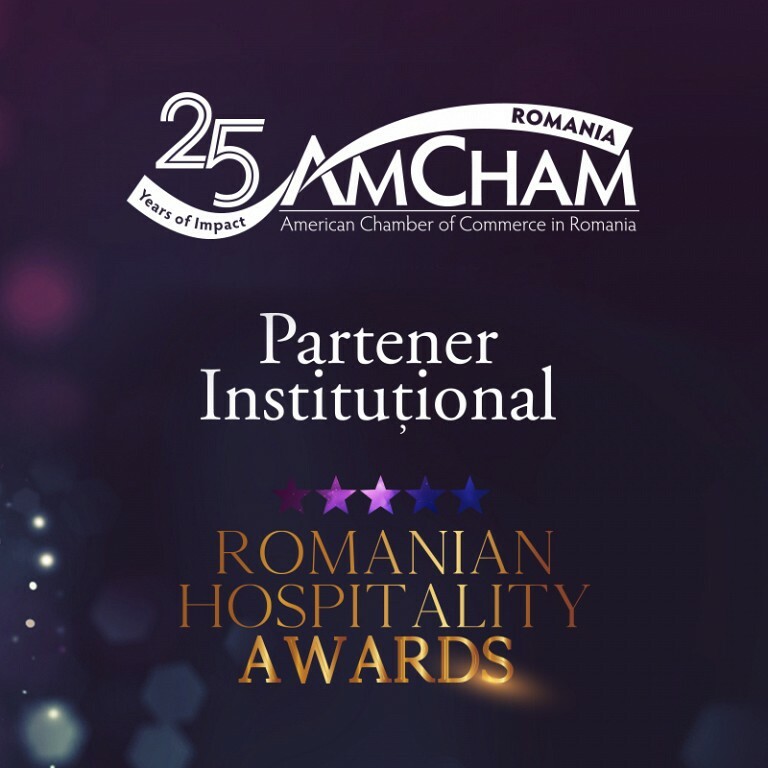 AmCham Romania members benefit from a participation discount using 0711AMCHAMawardsGALA2018 code upon registration at: https://awards.hospitalityculture.ro/gala/. During the evening awards gala, the participants will enjoy a 5-star culinary experience, offered by the Chef of our main partner, Dnata. Also, during the event, everyone will be able to taste the products on display in absolute exclusivity.